To join in the fun, add your story link to the widget below. Stories must be PG-13. Don’t forget to read and comment. “Piece of paper—over here, one more mark—and then—oh. Got it. There we go,” Lora wiped her forehead, scowling when her too-short bangs flipped back in her face. She’d done this ritual every semester since freshman year. Capping the marker in hand, she surveyed the colorful squiggles that made up her artistic mandala. Drawing things always refreshed her and the more colors she used, the better. She’d used every single marker in the twenty-four pack she’d squeezed into her grocery haul. The result was a gorgeous rainbow of shapes, swirls and even some stray glitter eye shadow. A yawn escaped. Lora tossed the marker to her bed and stumbled to her feet. Her left leg throbbed from where she’d slipped into the pool yesterday. Normally, she enjoyed making mandalas, but today had been awful and she hadn’t recovered from the all-nighter. It wouldn’t have been necessary if stuck-up Stephanie had shared her stupid notes, but Lora was trying to stay positive here. Her notes had become an indecipherable muddle, after all math was an evil foreign language invented to torture any pitiful human with the slightest of artistic inclinations. “Depressing—I’m losing it,” she muttered. It would’ve been better to doodle tomorrow—after a good nap—but there were more finals in the morning. She’d always drawn the mandala on the last day of classes or the day of the first final. 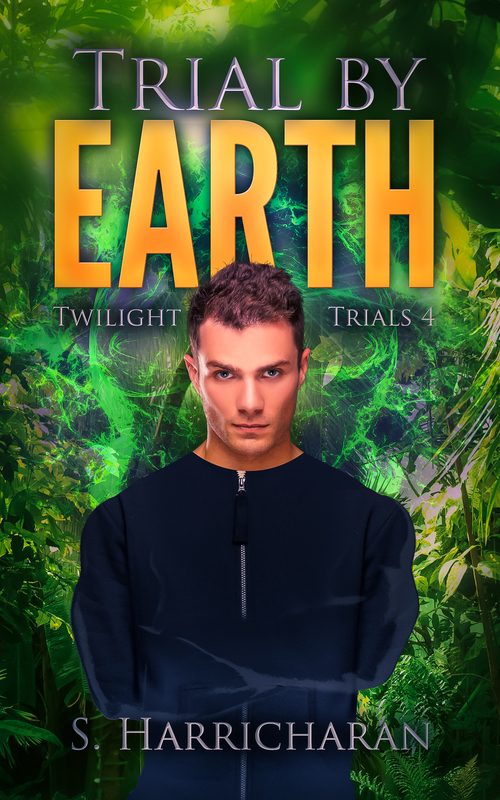 Her leg buckled when she was two steps to the bed and Lora pitched face-first to the floor. The fall hurt, but she’d had enough consciousness to catch herself before busting her nose. Rolling over to lie on her back, she found herself staring sideways under her bed. A plastic package of cookies peeked out from a corner of the drooping bedspread. Lora perked up. Using her elbows to scoot over within reach, she drew out the treat with a sigh of relief. The world wasn’t so bad when there were cookies around. Backtracking to the mandala, she nibbled on a cookie and traced patterns through the glittery border. The left half of the colorful circle was lopsided, so she roused herself enough to root out the bottle of glitter glue to remedy it. Plopping down on the floor, she hunched over the large sheet of drawing paper, adding a careful line of shimmering glue to even out the left side. Tugging the cookies closer, she fished out another one. Alternating between snacking and touching up the border, Lora sat back on her heels. It was as close to perfect as possible and prettier than the previous ones. The next cookie broke in half when she plucked it from the package. Half fell atop the mandala, spraying crumbs everywhere. Lora winced. She lurched to her feet, stuffing the other half in her mouth, she scrambled for her tweezers in the tiny dorm bathroom. Trying to brush the crumbs out of the glue with her tired fingers would make a mess. When she came charging out of the bathroom, she froze and shuffled right back to it. Sitting on the floor of her dorm room, crunching away on a cookie, sat a well-dressed man, complete with a vest and tie, minus the suit jacket. A pair of corded reading glasses hung from his neck and a silver chain led to a small vest pocket. A squeak of surprise escaped as Lora chanced another look from the safety of the bathroom. She was awake and there hadn’t been anyone in the room two seconds ago. “I don’t mean to startle you,” the gentleman said, helping himself to a cookie. “But they are quite good. I haven’t had this brand in ages.” He made no move to rise, but seemed content to stay put. “If you wish for me to leave, then you must order me to do so,” he said, calmly. “You summoned me here—and offered these in return for my services.” He toasted to her with a cookie, before devouring it in a single bite. Lora stared. There’d been a hint of a fang there. Following his nod, she gave a cry of dismay. Her hand-drawn mandala was ripped to shreds as if something had burst forth from the center. Her weariness rewrote itself into anger-fueled adrenaline. “Trigonometry,” he repeated. “I’m quite good at it. May I be of some assistance?” He tugged on the silver chain, producing a pocketwatch with an ornate design in vivid color. “That’s my mandala,” Lora faltered. Her accusatory stare morphed into a look of genuine confusion. “Have you always drawn these?” He asked. “Marcie Almack?” He snapped the watch shut and returned it to his pocket. His grey eyes lightened to gold. “How do you know-?” Lora stopped. A low groan filled the room. Lora choked. “You’re a gargoyle?” There were too many things wrong with his admission. “Last.” She took a deep breath. She had vague memories of childhood stories populated with gargoyles and their outrageous adventures. It figured her mother would be telling the truth the only time it sounded like a lie. “Lora.” She dropped into the chair. Up close, she could see he had salt-and-pepper hair with finely chiseled features. Kind of the portrait in her mother’s home office. 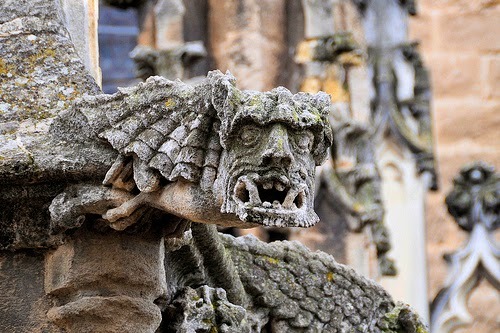 A/N: So–I wanted to write about gargoyles and I happened to be eating cookies when I stumbled over that thought, so they both made it into this week’s story. I meant to post it yesterday, but couldn’t find an appropriate picture to accompany it. (and in the spirit of perfectionism, I hadn’t finished tweaking it as yet. Ahem. Anyway. Happy holiday weekend to all of my USA readers–and happy reading to everyone else.